Klogs Footwear is a family owned company, and they have a well-deserved reputation for creating some of the highest quality clogs and other pieces of footwear out there. The company was founded in just 1999, but they have made a strong name for themselves in that short amount of time. 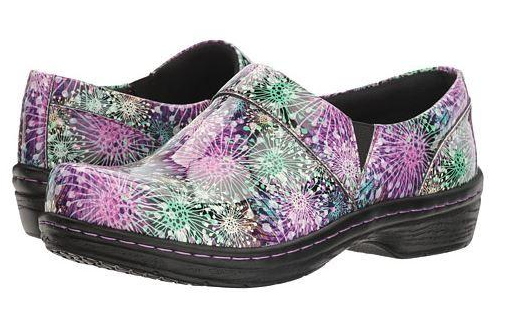 With their slip resistant, orthotic, clogs, Klogs Footwear produces comfortable, functional, shoes designed to make your life just a little better. Most people don’t think about how important a comfortable pair of shoes is until they don’t have a pair. In these cases, Klogs Footwear can fulfill a very important purpose. Based out of Missouri, the company started out with a focus on creating the most comfortable pairs of shoes for people that spend a lot of time on their feet. The first recipient of Klogs Footwear shoes were friends, family members, and coworkers of the founders of the company. Because of this intimate focus of the company, there was a big emphasis on producing the best, most high quality shoe possible. The end result was that the clogs produced were so popular that it went from a hobby into a company. A lot of the people who received the original Klogs Footwear shoes were so happy with the shoes they received that they are now employees of the company. Klogs Footwear produces more than just comfortable shoes. These are fashionable and functional shoes designed for both men and women. They are great for those in the professional realm, whether they work in the medical field, a restaurant, or in a more formal setting, like an office. These high quality shoes have gained a great deal of popularity thanks to their reasonable prices. You can find their clogs and other pieces of footwear online and at a number of different brick and mortar retailers.